Here you can find the basic setup for playing almost all games at RetroGames.cz. However, some games can be configured differently. 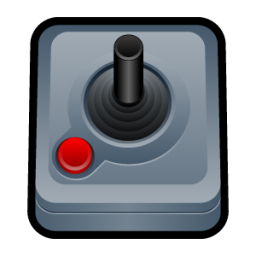 This is due to various game controllers (for example joystick or paddle in case of Atari 2600) used for playing several games. From this reason we strongly recommend to read carefully an instruction in a table with actual configuration of relevant game controller at every page with online game. Paddle mode for second player is not supported. By switching into paddle mode the mouse cursor in the applet area becomes invisible and the mouse works as paddle. START button (emulated by Enter) works also as a Pause. POWER button and RESET button at NES videogame console are not supported. Second player is not supported. The START button (emulated by Enter) can be used for most SNES games to pause the game. Current version of our SNES emulator does not support second player.